I received word this week from the Copey Learning Center’s Board thanking “Friends” for the support we continually provide. “Thank you for your loyalty and commitment, people around the world follow and know about the Copey Learning Center”, says the Copey Learning Center Board. 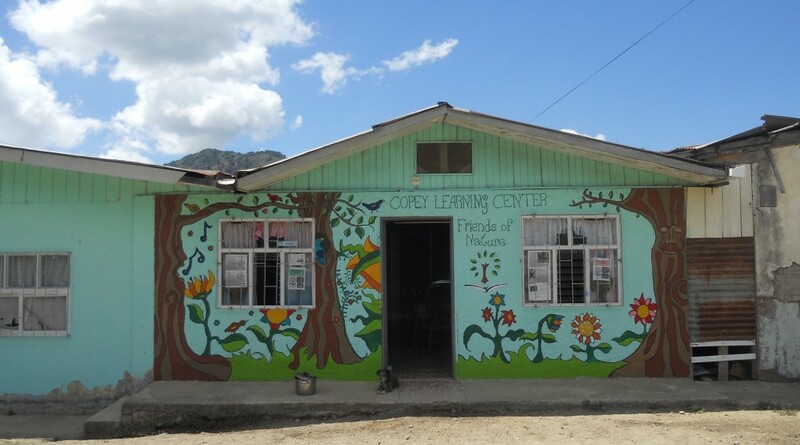 relationship between the Copey Learning Center and “Friends of Copey”. I see the evidence of non-USA and non-Costa Rican visitors each week checking in on this Blog. For example, the stats from my Blog report covering site visits indicate the locations site visits originate. The snapshot provided is an example of countries in addition to the USA and Costa Rica. There are even more countries including Brazil, and Thailand frequently showing up. Some have suggested these odd visits happen simply by people accidentally clicking on my Blog. Of course, I am not totally convinced it is 100% accidental. I have watched these stats for about 5 years and it is not easy to explain as simply as an accidental visit to this site. Sometimes, I think there are folks who check in out of curiosity about how “Friends” works so effectively on an international project. Many communities have the same educational issues Copey has and they are looking for answers. The key point both the Board and I are making is this project is more widely known than we may think. And that is the truth! We look forward to Brian’s arrival. We know this opportunity to meet and connect with US students will have a positive and memorable impact on him. We also hope he will return home to Copey as a strong and positive ambassador especially for other young men in his community needing some inspiration to continue their education. The educational guests from Meadow Elementary School in Lehi, Utah, are working on the final details of their travel to Copey. Their travel upon arrival, housing, meals, and a host of other plans are being worked out to make certain everyone will have a very great time and little or no glitches. This is one of the more exciting events “Friends” has been involved in. Keep watching for updates. We continue to pray for peace and comfort for the family and friends who lost loved ones in the recent Florida shooting. We pray for the whole community and hope there will be sane and reasonable solutions which will provide greater safety for our school students all throughout our country. When I was a kid living in southwest Virginia, Rev. Billy Graham was practically a household name. North Carolina is only an hour or so from home and early television viewing often included regional church revivals and religious services conducted by Rev. Graham. All of my family and the community knew of Rev. Billy Graham. Very few national and international ministers have risen to his level of gospel preaching, his level of scrutiny and personal inquiry, and his level of religious impact on the modern-day world. He never lost his focus on the message of salvation to all regardless of race, color, or creed. I am certain he is welcomed Home! John Steinbeck once wrote “that people don’t take trips but trips take people” and this could be true for the Utah folks. Passports are in hand and it looks like the Utah travelers are getting packed up. Only about four weeks before take off and we all are busy working on the travel itinerary. Some exciting events are being planned to welcome, entertain, and inform the guests. I personally regret not being able to join them to share the experience of delivering boxes of school supplies and materials. Also, I will miss seeing the magic that somehow takes place in this little part of the world. However, I will be at my command post making certain each “Friend” stays informed and aware of the Utah visit to Copey. Today, we learned that a second Emory & Henry College student is planning to travel to Copey to work as a volunteer this Spring. I only have their names at this time. It is a wonderful feeling to know the “Pathway Project” attracts students going in both directions as it was intended. More details on these students will follow soon. “My name is María Lourdes Monge Rodríguez. I was born on March 12th,2001. I am in 11°grade. I have been a student at CLC for 8 years. Not many people have this opportunity of travel to USA and learn English, I am very lucky because I can learn English with North American teachers, and this opportunity to go to Emory . If I can go to USA I want to make the things the best I can, represent my country, learn and mainly enjoy this opportunity. Once again, “Friends of Copey” extends our heartfelt condolences to those families and friends who recently lost loved ones caused by another senseless killing. This deeply saddens us as we devote much of our time and resources to help improve the lives of young students. So much is lost and gone in nearly a blink of an eye…for reasons no one can justify. There are times when I am mesmerized by the photo of the Copey Learning Center. Its color scheme and simplicity says so much. But, the center lacks many of the amenities and advantages our US schools typically provide students. The school in Florida where so much death and destruction took place has its lovely campus and the beautiful neighborhood surrounding the school. The enviable weather and the spirit of Valentine’s Day filling the air, just all seemed near perfect. In comparison, the Copey Learning Center would be a condemned facility or considered far too ill-suited and substandard to house students for education purposes if it were located in America. So, I am reminded of the line in that song from long ago…“a house is not home”. In Copey, the house…the Copey Learning Center is a home where all the people know each other, care for each other, and want the best for each other. With the words Copey Learning Center written above the door [probably by a student], with its electrical and plumbing issues, no real amenities, and many more shortcomings, the place really is looking more like paradise lately. Let’s pray that righteous hearts and minds will prevail in search of honest and meaningful solutions. Kids should not be less safe at school than they are at a ball game or flying to go see grandma. We are much better than this. “VICTORY”…how sweet it is! “Friends”…everyone take a bow and accept the thanks and appreciation for a job done exceptionally well. This week we officially declare the ED Salary Support Campaign complete and successful. How sweet is this? “Friends” involved in 2015 may recall that it required a huge local “parking lot” sale in April to get us across the finish line. In 2016, there was a “yard sale” in July that provided the small amount of funds needed to reach our goal. Then, last year we completed our fundraising efforts at the end of February. Declaring victory today makes this even more astounding than last year. My instincts told me when “Friends of Copey” first began that kids from places outside of Copey would be a key element associated with this venture. Pen Pal opportunities were considered an excellent way to facilitate awareness and meaningful connections between students at the Learning Center and students attending American schools. We have had several Pen Pal connections over the four years and each one provided special opportunities for students to learn. Then, with the success of the “Pathway Project”, we have possibly established the ultimate educational form of student to student connection. Copey students traveling to America and interacting with US students a couple of weeks each summer provides extraordinary and mutually beneficial opportunities for learning and discovery. You have read about Meadow Elementary School in Utah and you know the students collected boxes and boxes of school supplies and materials to donate to the Copey Learning Center. And, you know a team of school representatives (four total) will travel to Copey to personally deliver the supplies. In hindsight, it was a simple invitation to set up a “Pen Pal” connection with the Meadow Elementary School and the Copey Learning Center which started all this. As often the case, educators quickly see how contact with students from other countries can offer meaningful educational experiences. With the availability of Skype service, students can meet and share time with others from a different culture, different geography, and a different language. The team heading to Copey will meet the current volunteer teachers working at the Learning Center along with the staff and local community volunteers. All devoted to making a difference in the lives of kids in their community. The team also plans to spend some time volunteering and sharing some of their expertise to help the cause. The Copey community is fully aware of the team’s arrival and be certain the team will return to Utah with lasting memories. Following the trip to Copey, I expect we will continue with the original plan to establish a “Pen Pal” relationship. I ask all the teachers and staff at Meadow Elementary School, parents, and students to closely follow these events over the next several months. All are welcomed to join “Friends of Copey”…requiring nothing more than a desire to help a community dedicated to making a difference in the lives of the kids in their community. I hope other schools will recognize the value and the potential educational benefits this can provide. I am always willing to help. There were several “Amens” registered by “Friends” following the last Post. It is very refreshing to get a response to a Post, especially from the “Amen Corner”. Each week, there are good reasons to shout “Amen”. Here are a few for this week! Our recent focus has been mostly on the two key annual fundraisers and we are happy to officially announce again the goal for the Anne G. Broady Scholarship Fund has been achieved on schedule. The responses exceeded our expectations and the Learning Center is lining up the scholarship recipients now. We expect to officially announce the achievement of the second fundraiser, the Executive Director’s Salary Support within the next couple weeks…also ahead of schedule. Plans for the Meadow Elementary School representatives’ visitation to the Copey Learning Center in March continue. Principal Carolyn Johnson and Tamarie McMullin are getting ready to personally deliver school supplies and material being collected by their students. While at the Learning Center, they plan to stay a couple of days and do volunteer work, not just drop off supplies. They will meet members of the Board of Trustees, other community supporters, and volunteer teachers at work. Certainly, they will meet many students including both Fabriana and Mariana. Fabriana and Mariana are coming stars who graduated from the Copey Learning Center in November. Both are exceptional students with a very good command of the English language. When they are older, they will be ideal candidates for the “Pathway Project”. Below are selected sections of their speeches presented the night of their graduation. “Copey Learning Center is my second home. When I started 8 yeas ago, I did not have any idea about how English could help me in the future. This is the best decisión my parents have made for me. English also helps me to read, write and speak I also listen to different accents, I have learned to share with teachers and friends. Principal Johnson and Tamarie will also meet Brian and Lourdes, the “Pathway Project 2018” students preparing to come to America in June. Ana Yancy and Dahiana will accompany the students. Brian will be our very first male student to participate. We are excited about his participation and hope he will be a major inspiration for other male students to excel in their English studies while attending the Learning Center. The Copey Learning Center Officially Opens for Business on Monday!